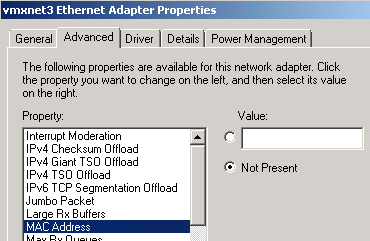 Here are 3 examples of how to spoof a MAC address for Windows VMs via NIC Adapter properties. The method is simple to execute just one command and the MAC Address is changed . 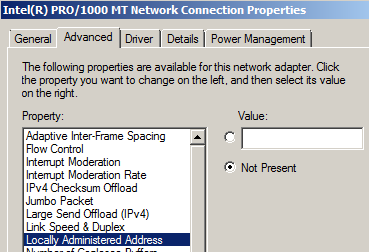 Thanks for sharing method to change MAC Address of Windows Virtual Machine in VMware.